Find a service centre closest to you. With the Mahindra name behind you, you can be assured of an extensive service and help network. I agree that by clicking the 'submit' button below I am explicitly soliciting a call from Mahindra or its partners on my 'Mobile' in order to assist me. How does Mahindra handle customer concerns/feedback? Mahindra has always been a customer-centric company. We value your feedback and strive to address your concerns and feedback with speed and empathy and in a fair and transparent manner. How can I send feedback on my experience with a dealer or an individual ? You can send your feedback through telephone or email or through the Queries & Feedback Section of this website or through a feedback form available at all our dealer showrooms and workshops. You can also visit our "With You Hamesha" website/mobile app (www.withyouhamesha.com) & give your feedback in Get In touch section Or you can call us on 18002096006. If I have a concern with your local dealership and want intervention from Mahindra & Mahindra Ltd, Who do I contact ? I have already contacted your local Customer Care team but would like some senior to talk to me, what should I do? We have 18 RCCMs (Regional Customer Care Managers) who are in charge for their respective states. The RCCM for your region/ state will contact you back if you mention this desire to any individual you are talking to at M&M. You can also send a mail to customercare@mahindra.com making a request that you want to talk to the RCCM. Rest assured you will be contacted back. You can also contact us on www.withyouhamesha.com or call us on 18002096006 or tweet us on @18002096006. How long will it take for my communication to be responded to ? Our Customer Care team shall endeavour to reply to you within 1 working day. If I want to share my concern and experience to M&M Head office. What procedure do I follow? How do I reach the top person in M&M? I am facing a product expectation gap and want this to be reported to the relevant department at Mahindra, how should I ensure this happens ? Who should I contact in case of product or service related enquiry ? You can do a live chat on our WITHYOUHAMESHA app and website (9am to 6pm), or call on out toll free number 1800 209 6006 for your queries. How do I know that the dealership is charging me the correct prices for products and services? 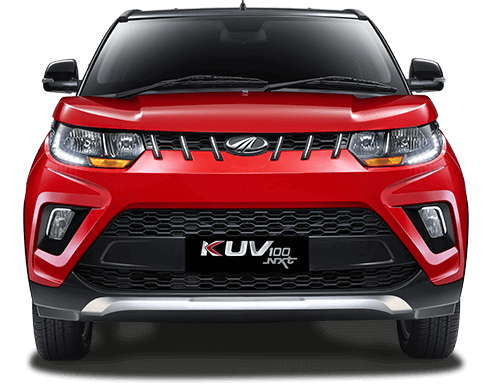 For all vehicles the ex-showroom prices as applicable for the particular city are declared in advance by Mahindra & Mahindra. This information is available on our website. For spare parts, Mahindra & Mahindra declares the respective MRPs (Maximum Retail Prices). Labour charges for services rendered are based on hourly flat-rate as per city classification. These have been pre-defined by M&M and each job is charged by the standard number of hours that is necessary for the job. (The calculation will be done on the basis of hours required for job multiplied by flat rate applicable for the city. When you become a member of TopGear Club, you're a part of the Mahindra family. It is an exclusive programme created to give a delightful and unforgettable ownership experience. Here's a quick glance through the benefits that will contribute to make the TopGear Club journey amazing. Try to drive at a steady speed between 60 and 80 km/hr. Avoid accelerating or decelerating unnecessarily. Incorrect gearshifts can lead to an increase in fuel consumption. Under inflated tyres increase rolling resistance - this leads to higher fuel consumption. Keep the Air conditioner in "LO" mode (if the feature is available) whenever the ambient is not very hot. Additional weight leads to increase in fuel consumption - Remove all unnecessary weights like golf equipment etc when not required. For best fuel economy, use the recommended grade of engine oil & lubricants mentioned in the owner's manual. 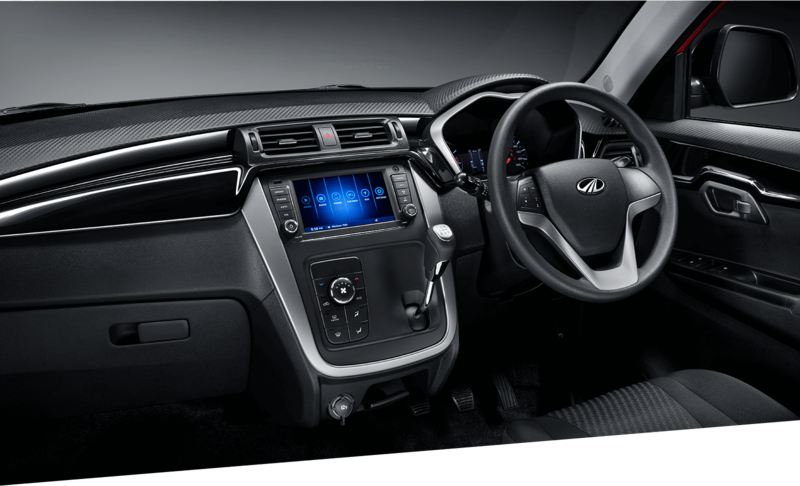 While at traffic signals, switch off the engine - A micro-hybrid equipped variant will do it automatically for you. Safety starts with buckling the seat belt. Ensure all the passengers including the rear seat passengers are wearing the seat belt. We recommend that you use only genuine parts supplied by Mahindra & Mahindra. Always align top of the head restraint with the top of your head or as close to it as possible. Never use a mobile phone or personal music device while driving. This may take your focus off the road and lead to accidents. Do all preventive maintenance of your vehicle and stick to the maintenance schedule. Always maintain speed limits & avoid sudden acceleration or deceleration. Never use the clutch pedal as a foot rest - it leads to premature wear of the clutch plates. Keep a safe distance from the car ahead of you. For best AC effectiveness, use Recirculation mode. Try to park your car in shade. If parked in the hot sun for long, open all the windows completely to vent the hot air out before switching ON the AC. Clean the AC filter(s) at regular intervals. all rights reserved by mahindra & mahindra ltd.